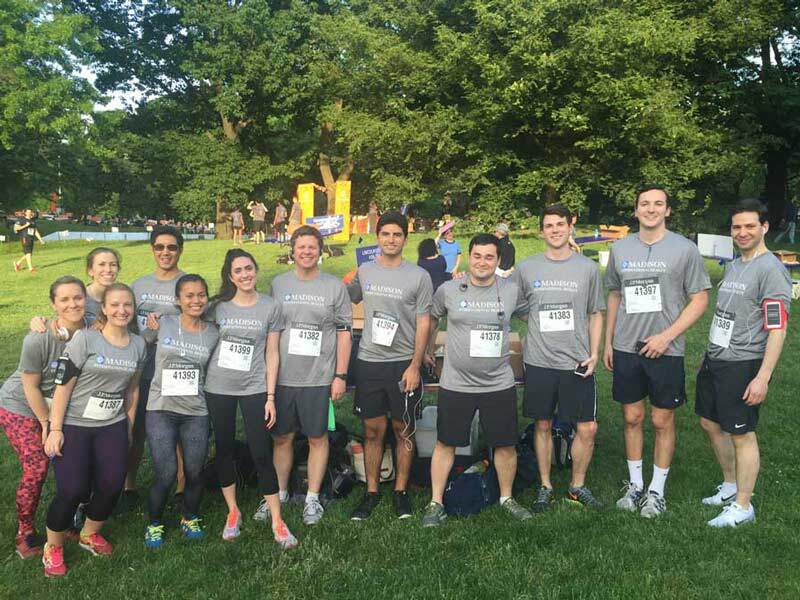 The Madison International Realty team gathered together in Central Park on June 2nd, 2016 for the second night of the 2016 JPMorgan Chase Challenge. The team was ready for a little fun and competition, and many were speculating as to who would finish on top for team Madison. Newcomer Tripp Deichmann stole the show with a running time of 21:52, beating reigning champion Christopher Mendez by just 23 seconds. Yasmine Kamaruddin was the top finisher for the women, with a running time of 29:47. The JPMorgan Chase Challenge started in New York City in 1977 and has become one of the city’s most widely attended road racing events, with 30,000 entrants this year (15,000 on each night). Congratulations to all the participants who came to race or cheer on the team!